Much of today was spent battling a headwind. I suspect this will be the case for many of the days following the coast now. I guess it helps make it a bit harder in the absence of any substantial hills. 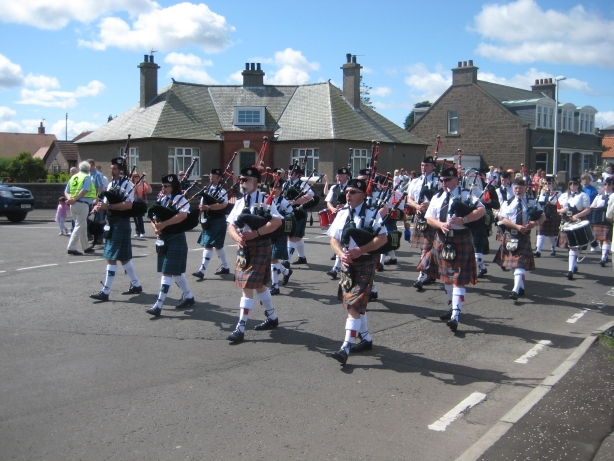 When I reached Montrose I saw a parade of bagpipers followed by the town’s beauty queen and princesses. Shortly afterwards, though behind a fence that I couldn’t see over, I encountered the venue of Montrose’s Highland Games, so I suspect that this is where they were heading. There were certainly lots of local people flocking there. 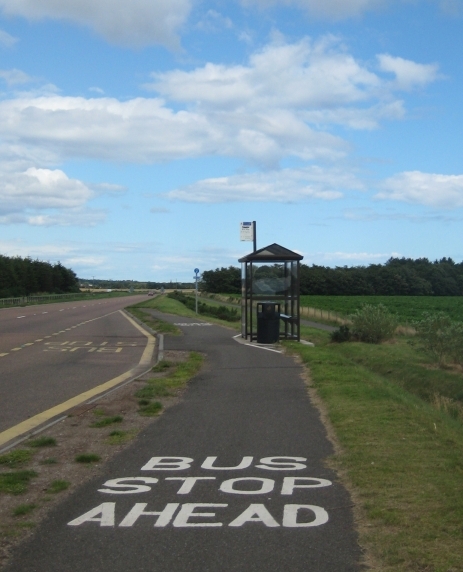 A few miles out from today’s destination of Carnoustie the cycle route follows beside the A92. I saw a sign pointing out the obvious here. Judge for yourself. This entry was posted on Monday, August 3rd, 2009 at 07:01 and is filed under Cycling. You can follow any responses to this entry through the RSS 2.0 feed. You can leave a response, or trackback from your own site.